When morning came, the Sanhedrin had Jesus taken to Pilate. When Judas saw that Jesus was condemned, he had a change of heart, and took the thirty pieces of silver back to them, saying that he had betrayed innocent blood. But they are unimpressed. So he threw it down in the temple and went and hanged himself. Remorse, as we see, does not always include repentance. The Sanhedrin has no problem with lies and the murder of an innocent man, but they want no part of this blood money, so they use it to buy a potter’s field. The scripture that this fulfilled, referred to in verses 9-10, is from both Jeremiah 19:1-13 and Zechariah 11:11-13. Jesus answers Pilate’s question of whether He was a king, but remains silent about the charges against Him. We find in verse 20 that the chief priests and elders persuaded the people to choose Barabbas when Pilate offered to free one of them. Fearing a riot, Pilate resigns himself to the will of the crowd, but uses the physical act of washing hands to declare his innocence of “this man’s blood.” “Having scourged Jesus” is mentioned in passing, but this Roman form of flogging was anything but incidental. It was a brutally painful beating with a whip weighted with sharp pieces of bone and metal. 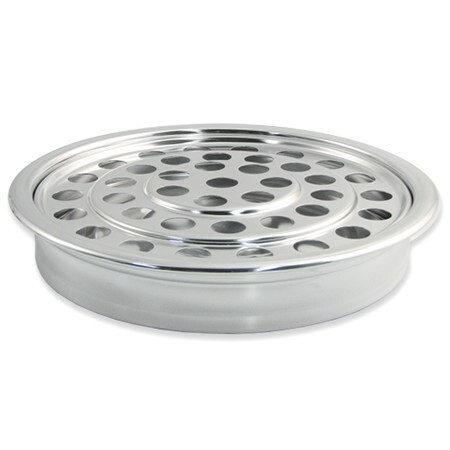 It was designed to lacerate, often exposing bone and intestines. 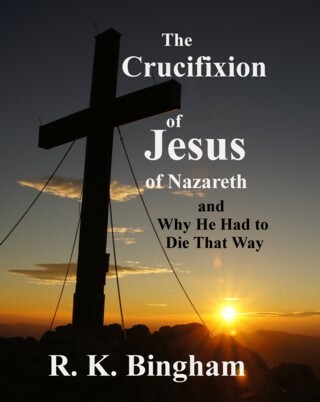 Crucifixion was an agonizing and tortuous death, but this beating would be equally painful. 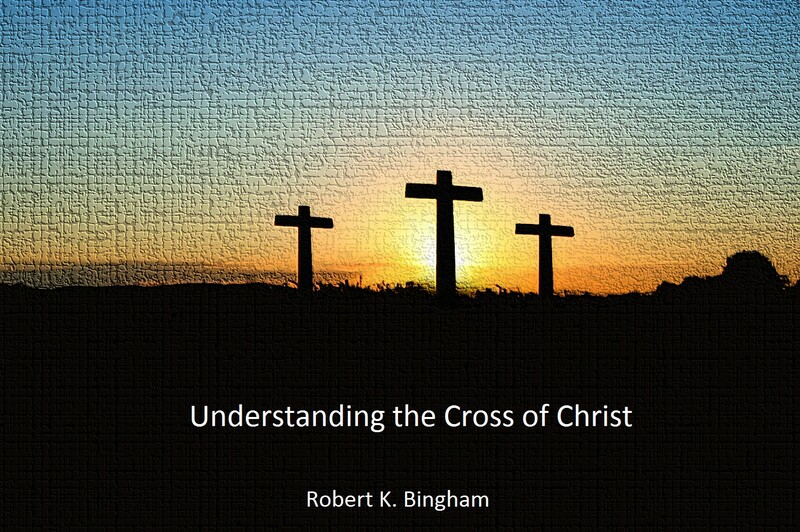 A good article on this scourging can be found at this link. He was mocked and spit upon, stripped and made to wear a crown made of thorns. Then he was led away to be crucified. 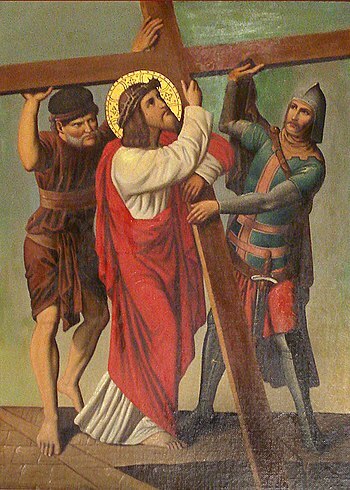 They made a man named Simon of Cyrene to carry His cross, and when they reached Golgatha (which means Place of a Skull), they tried to give him wine mixed with gall (a very bitter herb that could also be poisonous) to drink. It was intended to dull the sense of pain, but it was God’s will that He should suffer. 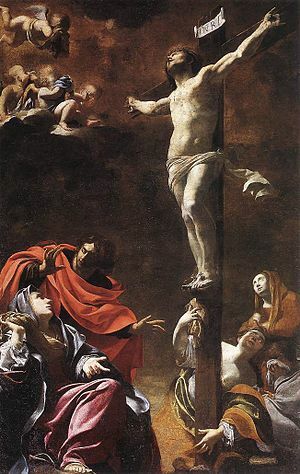 As they crucified Him, “they divided his garments among them by casting lots” – referring to Psalm 22:18. Verses 36-44 detail the continued derision, mocking and reviling inflicted on Him as He suffered. Crucifixion was a slow and excruciatingly painful method of inflicting death, and there are many stories of the cruelty of Roman soldiers experimenting with different poses for crucified victims (Josephus, “Jewish War” 5.449–551). Hanging by one’s arms caused great difficulty in breathing, only alleviated by the victim pushing up with their feet in order to take the weight off of the arms. But that caused severe pain in the feet, arms, legs, and back, making the exhausted victim slump down again, only to be barely able to breathe again. Finally, he would mercifully die of asphyxiation, if he had not already died as a result of the cumulative effects of the multiple physical traumas inflicted. In verse 45, there was darkness all over the land from the 6th hour until the ninth hour (about noon to 3:00). 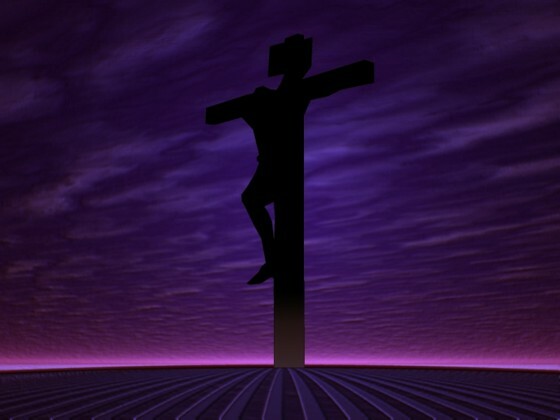 About the ninth hour, Jesus cried out with a loud voice “Eli, Eli, lema sabachthani?” meaning, “My God, my God, why have you forsaken me?” This is from Psalm 22:1. This is one of the most puzzling verses in the Bible. Jesus knows what is happening, and why He is doing it. One explanation that has been posed is that because Jesus did in fact become sin, at this moment Jesus felt the presence of God turn away from Him as He was dying. Jesus then gave up the spirit with another cry. Then in verse 51, the curtain of the Temple was torn from top to bottom. It was between the Holy Place and the Most Holy Place, and was woven from 72 twisted plaits of 24 threads a piece. It was 60 feet high and 30 feet wide. No one was allowed to enter the Most Holy Place behind the curtain except the high priest, and then only on the Day of Atonement. Being torn in two represents the removal of the separation between God and the people. A high priest was no longer needed – Jesus is our high priest now. More elaboration of this event, and what it symbolized, is in Hebrews 9:11–10:22. 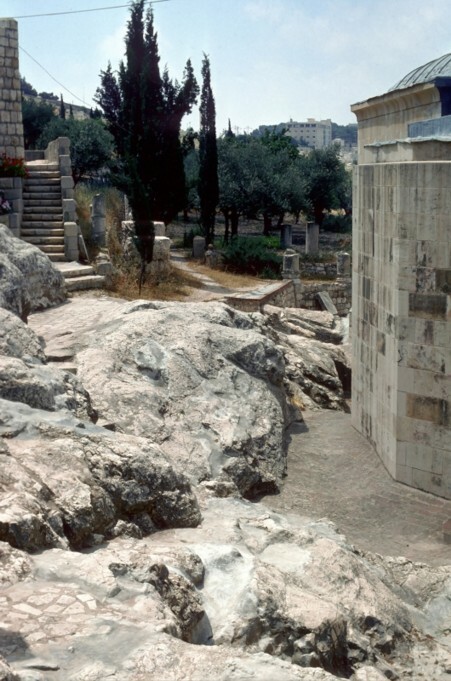 Then the earth shook (Palestine sits on a major seismic rift), rocks were split, and tombs were opened. As Matthew often groups events together topically, he then jumps ahead here in verse 53 to events after the resurrection, as many of the saints were raised and came out of the tombs to appear to many in the city. We are not told whether they were taken to heaven after these eyewitnesses received these visits. But clearly, God wanted many witnesses to understand the profoundly momentous significance of what had happened. In verse 57, a rich man from Arimathea named Joseph came to Pilate that evening to request Jesus’ body. He took the body and wrapped it in a linen shroud and placed it in his own tomb. This fulfilled Isaiah 53:9. Then he rolled a big stone in front of the entrance. Then the chief priests, remembering how he had said that he would rise after 3 days, went to Pilate voicing their fears that Jesus’ disciples might come and steal the body. So he gave them a guard of soldiers, and they sealed the tomb and stood guard. Then some of the guard that had been on watch at the tomb went to the chief priests to tell them what had happened. 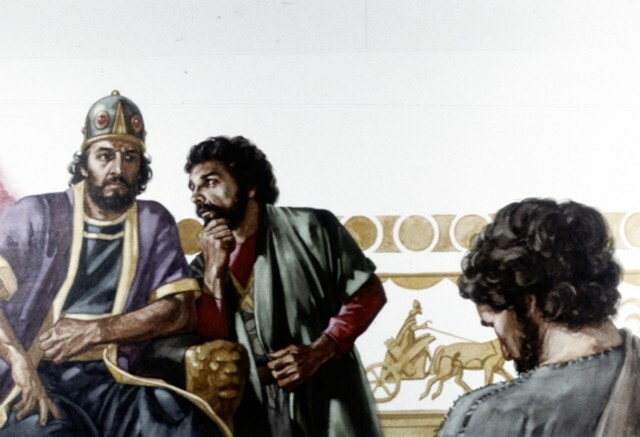 After deliberating, they gave money to the guards to have them say that His disciples had come and stolen the body while they were asleep, promising to keep them out of trouble if word got back to Pilate. Their acts of unbelief in the face of these eyewitness accounts is stunning, but such was their love for power that they would not let it be jeopardized. Jesus meets His apostles in verse 16 on the mountain in Galilee that He had directed them to. 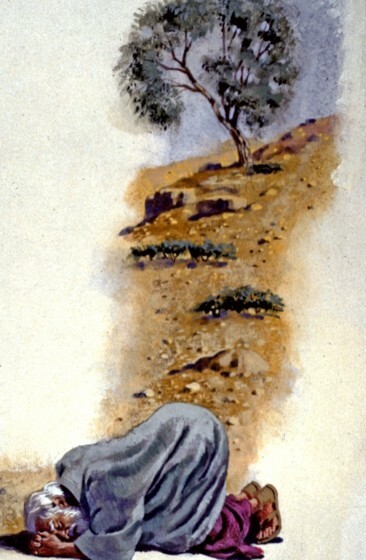 In verses 18-20, Jesus gives the eleven chosen ones the Great Commission – to go and make disciples of ALL nations “baptizing them in the name of the Father and of the Son and of the Holy Spirit, teaching them to observe all that I have commanded you.” Jesus has confirmed that His Kingdom is open to everyone. Because this is the end of Matthew, some confuse this event with the time of the ascension. 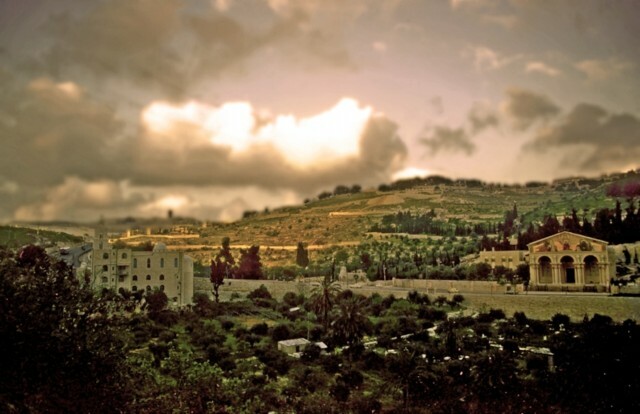 But that comes later at at a different mountain – Mount Olivet, after they returned to Jerusalem. 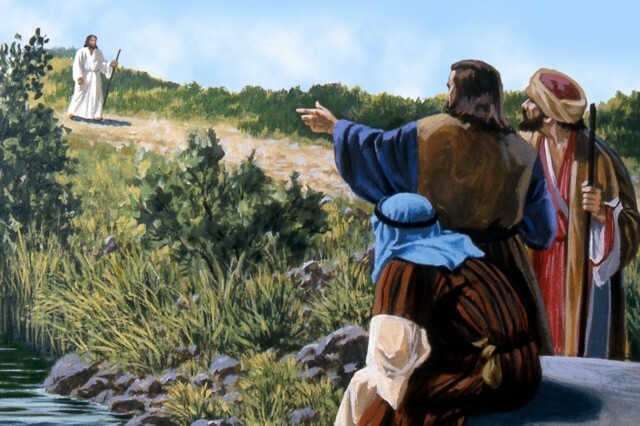 Pilate was ready to release Jesus (following a sound beating, of course), but the chief priests and the rulers and the people that he had called to give this news to all cried out to him to take Jesus away and release Barrabas. Barrabas was in prison for insurrection and murder, but the Romans by custom would release one prisoner on Passover. Pilate tried again to reason with them, as he wanted to release Jesus. But the shouting to crucify him began. Part of this, Jesus quotes from Zechariah 12:10-14, which speaks of mourning for “him whom they have pierced.” For the second time (the first being when He arrived at Jerusalem in Luke 19:41-44), Jesus is foretelling the destruction of Jerusalem which will occur about 40 years from then. “They” in that last sentence means the Romans. The green wood represents the innocent savior, and the dry is what will be left of that Jerusalem generation after He is gone. Hushai was a counselor for King David, but when Absalom rebelled against his father David, David asked Hushai to pretend to shift loyalty to Absalom, but act instead as a spy. Absalom accepted Hushai’s advice instead of the advice of Ahithophel, so Ahithophel committed suicide (2 Samuel 17:1-14). 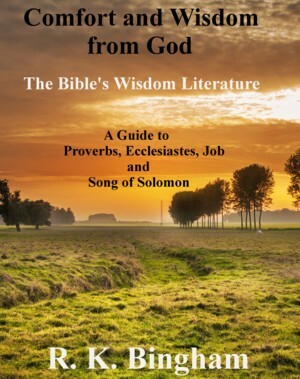 Traditionally, the Hebrew text divided the psalms into five books, the last of which in each finishes with a doxology (a short hymn of praise to God, which occurs here in verse 13); and chapter 41 concludes book one. 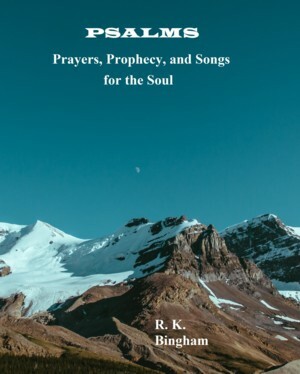 As is the case with many psalms, this one has meaning for the situation in David’s life at the time, as well as having application for the Jesus the Messiah. In part 1 of this series, we began looking for a more informative answer to my young friend’s question (“Why would God send His only son to die?”). The answer is of course that it was God’s plan for our salvation all along. But a better explanation would really be aided by a better understanding of sin, atonement, and ultimately, propitiation. In part 2, we looked at what sin is, why it matters so much to God, and why it should matter to us. And now we turn to God’s response to sin – which, come to that, is also one of the reasons that it matters to us. 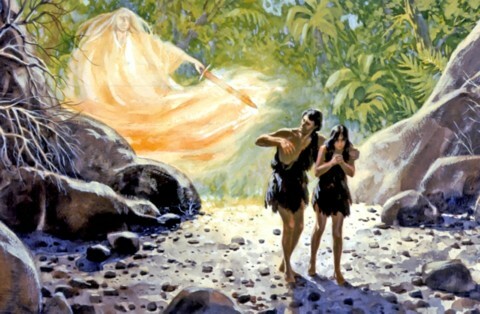 When Adam and Eve obeyed Satan instead of God, God sent them from the Garden of Eden and posted an angelic being at the doorway of Eden to prevent them from entering it again (Genesis 3). Of course, God’s first response to sin was to Adam and Eve after the fall of man, but He has given man many other earthly responses to sin. God was so grieved by man’s wickedness that He “struck down every living creature” (that wasn’t on the ark) in a global flood in Genesis 6-8. God promised His judgment on the Canaanites in Genesis 15:13-21 and again in Deuteronomy 9:4-5 , well in advance of the Israelites’ entry into the promised land in Joshua 3. And just as he warned them 1,000 years earlier in Deuteronomy 28:49-63, God had His people removed and taken captive for their continued disobedience, and their cherished holy city was burned (2 Kings 17, 2 Kings 24, 2 Chronicles 36:17-21). Of course, all of these, and many other earthly judgments God has brought to pass, pale in comparison to God’s promise of eternal separation from Him and the punishment that awaits the sinful in the end – in contrast to the reward that awaits the faithful (Matthew 8:11-12, Matthew 25:45-46). Why does God require a price to be paid for sin? The Lord spoke personally with Abraham, entering into a lasting covenant with him (Genesis 17). It is a fact that it is no accident that the Creator of life demands discipline, and that the blueprints He gives us for living our lives result in the best that life has to offer for us. Godly living in the long and short-term always has born out that constant truth – His ways are best for us. And it is His will for all of us to be saved (1 Timothy 2:3-4) So why does God demand a price for sin? As we noted in part 2, God is too pure to tolerate sin (Habakkuk 1:13). But just as importantly, He is a fair and just God (Psalm 25:8-14, 2 Thessalonians 1:6-10, Deuteronomy 32:4). He has promised to reward us for our righteousness, just as He has promised to punish sin. He is faithful and true to all of His promises. If it were not so – if He simply turned a blind eye to sin – how could we count on Him to keep the other promises He has made to us? How was sin dealt with in the Old Testament? Sacrifices and offerings to God were made by presenting them to a Levitical priest (a descendant of Levi, one of the 12 sons of Jacob). Non-priests could not make an approach to God. The different types of offerings are described in Leviticus 1-7. Only the High Priest – from Aaron through the end of Eleazor’s line – approached God in the innermost part of the Tabernacle (the Most Holy place), as they did to make offering on the Day of Atonement. This occurrence simply put off the judgment of the Lord for their sins in the past year (Leviticus 16:34). These sacrifices and the old law were merely a shadow of the promise of what was to come (Hebrews 10:1-4). God had set apart the Levites (Numbers 3:12) and established the priesthood for His people through the lines of the three sons of Levi – all with special duties. 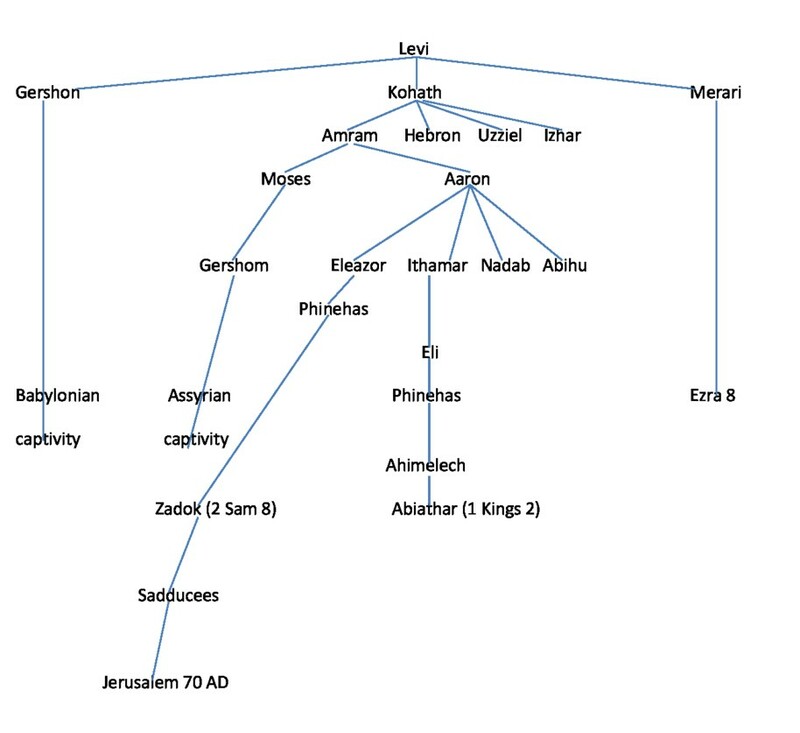 These were the Gershonites (Numbers 4:24-26; 7:7-8), Kohathites (Numbers 3:29-32, 1 Chron 15:1-15), and the Merarites (Numbers 3:36-37; 4:29-33). Moses and Aaron were sons of Kohath; and it was through Aaron’s line that the priesthood continued until the destruction of Jerusalem in 70 A.D., by way of his sons Eleazor, Ithamar, and Nadab and Abihu. The latter two met their end (and that of their lines) in Leviticus 10. Ithamar’s line ended in 2 Kings 2:26-27 with Abiathar. Eleazor’s line lived on until the destruction of Jerusalem in 70 A.D.
All through these ages, the promise loomed ahead of something better. A promise that was made first in Genesis 3:15-17, and would be repeated and expounded throughout the Old Testament. We will look closer at that promise as this series continues in part 4, taking a look at how Jesus fits into God’s plan for our salvation.